We see it in our children, but do you remember just how hard it was to get up for school when you were a kid? Well, there may be a reason for that, and that reason has sleep specialists proclaiming that school starts too early for our children. 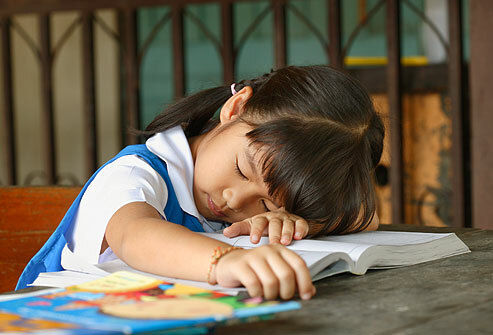 According to the National Sleep Foundation, adolescents need 9 to 10 hours of sleep a night, but most aren’t getting that, and it may be causing larger problems than falling asleep in class. Dr. David Thomas of the Los Angeles Sleep Center believes that nearly a quarter of children diagnosed with attention disorders may just not be getting the sleep they need to function properly during the day. Beyond Attention Deficit Disorder, we all know the perils of fatigue, so help your child by implementing earlier bed times and maintaining as much free time in their busy schedules as you can for rest and relaxation. If your child suffers from sleep disorders, look into talk therapy before turning to medications, as those may have adverse effects on your child as well.